One of the unexpected joys of this past Halloween was finding a holiday TV special from my youth-- which I'd searched for in the past-- available and streaming online. 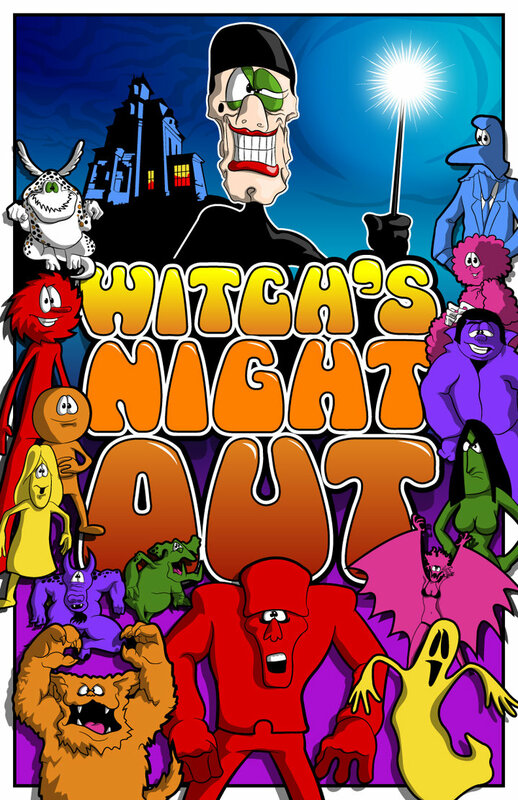 "Witch's Night Out" from 1978 originally aired on the Canadian Broadcasting Corporation, but found later popularity when it aired on the Disney Channel every year from 1983 through the late 90's. I'm not sure which of those years the show would have made it's way to me, but I can tell you that the recorded VHS tape I would watch it on, repeatedly, was a highlight of the Halloweens of my youth. For anyone who might not be familiar with the special, "Witch's Night Out" stars the voice of Gilda Radner as the Witch, who opens the show lamenting her past prime; an All Hallow's Eve Norma Desmond, of sorts. We are introduced to colorfully, uniquely drawn characters-- trick or treaters Small and Tender, their babysitter Bazooey. One thing that I didn't realize until recent Internet searching is that Malicious, the adult character in the town who hates Halloween, is voiced by the incomparable Catherine O'Hara, who would go on to voice Sally and Shock in "The Nightmare Before Christmas." "Witch's Night Out" holds up so well, and not only on the shoulders of nostalgia. There is a witch being summoned like a fairy godmother and crashing through the window; changing into your Halloween costume's character; lost magic wands and, not the least of it all, the disco song "Witch Magic." 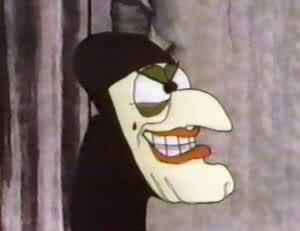 For many years, it wasn't Halloween until I heard the chords of that song, and the lyrics "Witch... Magic... Halloween." Thanks to Veoh, I can relive that again, and watched this twice on Halloween. Enjoy. Great site . Check out www.witchsnightout.com for more news. It's back on dvd at walmart and amazon.